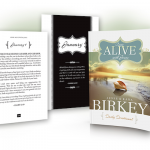 Jesse and Kara Birkey introduce a moving devotional with a daily word from God that will help you hear and experience him in ways you never have before. 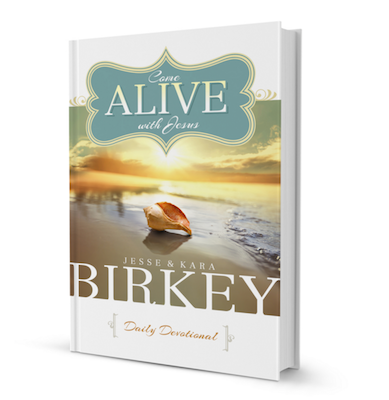 One of the deepest passions of Jesse and Kara’s heart is to help as many people “come alive with Jesus” as they can, and this devotional is born out of that desire. The daily words from the Lord will bring you hope no matter what you are facing. They will reveal a love that is bigger than you thought possible and the abundant LIFE that is always available. 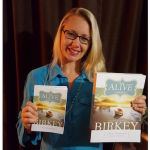 Special contributions from Richard Mull and Dr. Mark Virkler provide simple, practical steps to help you hear God’s voice better than you ever have, making each entry so much more than just words on a page. The dialogue between you and God will continue past the final sentence. 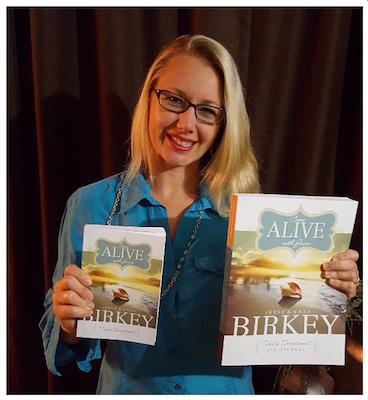 Jesus is inviting you to come alive in his arms. 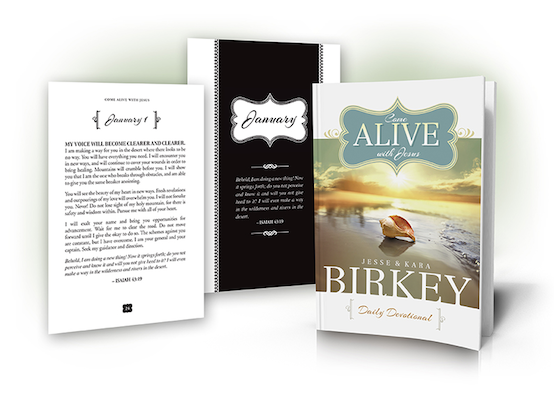 Be refreshed and renewed everyday with the Come Alive With Jesus Daily Devotional.